Now that the Los Angeles Lakers has missed their window in acquiring Anthony Davis before the trade deadline, other teams are putting together offers that would land them the talented forward/center. One of the organizations that can potentially acquire the young star is the Boston Celtics. With Anthony Davis’ impact on both ends of the floor, there’s no denying that slotting him in the roster of the Celtics will drastically improve the team’s performance. 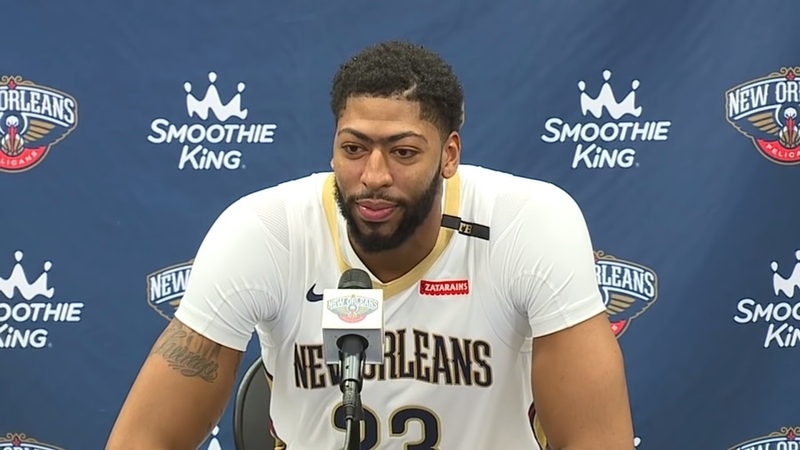 As such, it’s reported that Celtics President of Basketball Operations and General Manager Danny Ainge will be putting together a trade package in an attempt to pry the 26-year-old out of the New Orleans Pelicans, Inquistr reported. The problem is the previous statement of Anthony Davis’ father. “I would never want my son to play for Boston after what they done to Isaiah Thomas. No loyalty. Guy gives his heart and soul and they traded him. This is just my opinion, not Anthony’s. I’ve just seen things over the years with Boston, and there’s no loyalty,” the elder Davis said. And while Anthony Davis didn’t exactly mirror the statement of his old man, his own comment about coming to Boston is also suggesting he’s not interested in being part of the organization either. NBA Insider Shams Charnia said that word around the league is pointing that Boston is not a “long-term goal” for the Pelicans superstar. As such, it would be a mistake if Ainge trade some of Boston’s assets to acquire Anthony Davis as his heart seems to belong to the Los Angeles Lakers. Indeed, NBA legend and analyst Charles Barkley previously said that Davis will be a Laker at some point in the future. This is also the contention of NBA pundit Stephen A. Smith. Having laid all of these on the table, it’s safe to assume that Boston – while in a great position to acquire Anthony Davis – will not be going after him. This is especially true since the Celtics will have to include Jason Tatum into the trade package to acquire the six-time All-Star. Tatum has proven himself to be one of the league’s emerging talent and it would be ill-advised to trade him for a one-year rental of Davis.